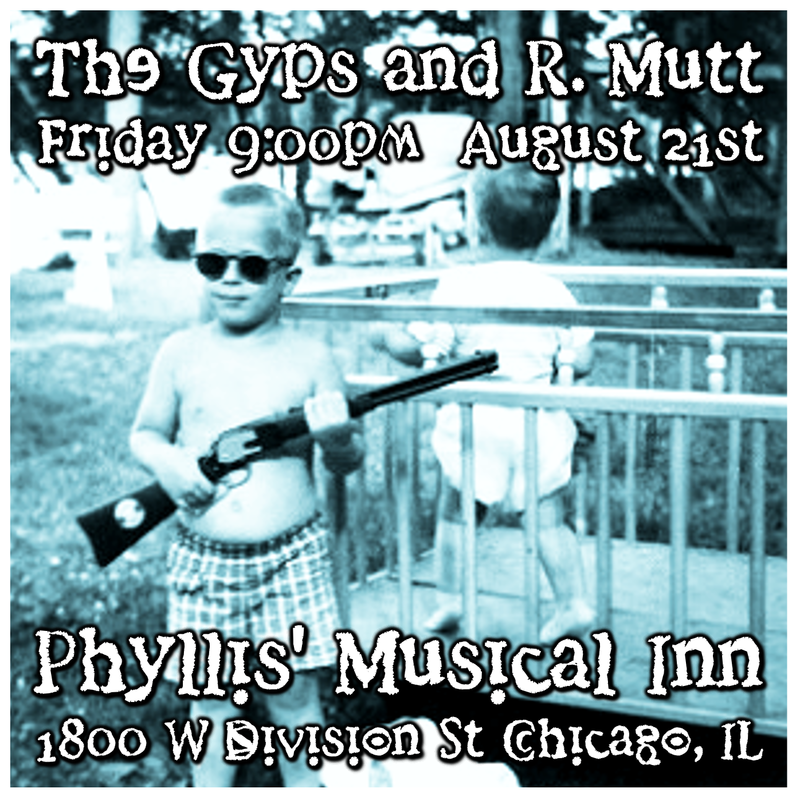 Friday August 21st R. Mutt returns to Chicago to play with old friends The Gyps at Phyllis' Musical Inn located at 1800 West Division, Chicago, IL 60622-3113. Since 1989 we have been playing with Dan Whitaker and his bands June Bug Massacre, Great Plains Gypsies, and now The Gyps. Always an entertaining show. Come out early to catch the Mutt set (10:00pm,) then stay late to enjoy a beer as the band kicks back and takes in the musical stylings of Dan Whitaker and the boys. We will be playing most of the songs off of our upcoming album and this show also marks our first performance with new guitarist, Dave Smolarek. I've been to every larger venue in the town and this is one of the best. Their menu is small but at least they seem to do what they have on it well. The Chicago event space have a variety of salads and sandwiches, and a fresh daily soup.